This is good. Free people should have no problem with that. Ravid, who is a reporter for Channel 10, cited unnamed Israeli officials as saying that the two met to discuss Washington’s long-anticipated peace deal. The meeting was part of efforts to bolster ties with Abbas’ inner circle, officials said. Greenblatt is said to have asked for Tarek Abbas’ opinion on a peace deal, with the latter saying that he is against the two-state solution because he didn’t believe a Palestinian state would be possible in light of Jewish settlements. Instead, the younger Abbas said, the ideal solution would be one state with equal rights for all citizens. A one-state solution could mean an end to the Jewish character of Israel. Ravid noted that Trump himself had told Jordan’s King Abdullah in a meeting some months before that such a solution would lead to an Israeli prime minister named Mohammed. According to Ravid, the meeting between Greenblatt and Tarek Abbas is proof that those closest to Abbas are no longer interested in the two-state solution. 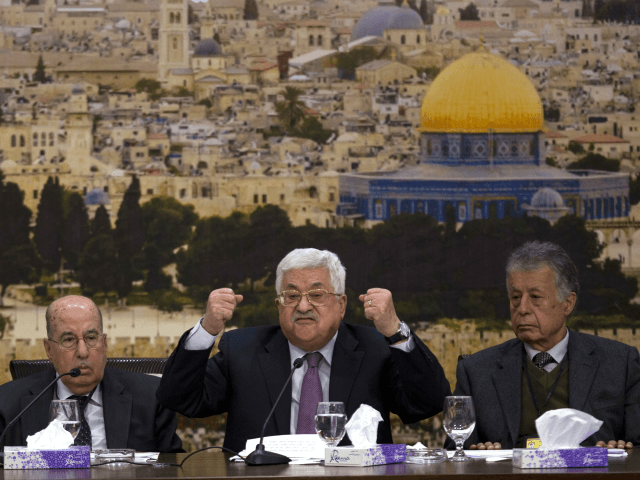 Abbas on Saturday reiterated his pledge to thwart Trump’s peace plan at the PLO Council session in Ramallah. What took them so long? It was only a matter of time till righteous believers would challenge that gangster Kadyrov who is the Chechnyan strongman now, at the behest of Vladimir Putin, that infidel dog. 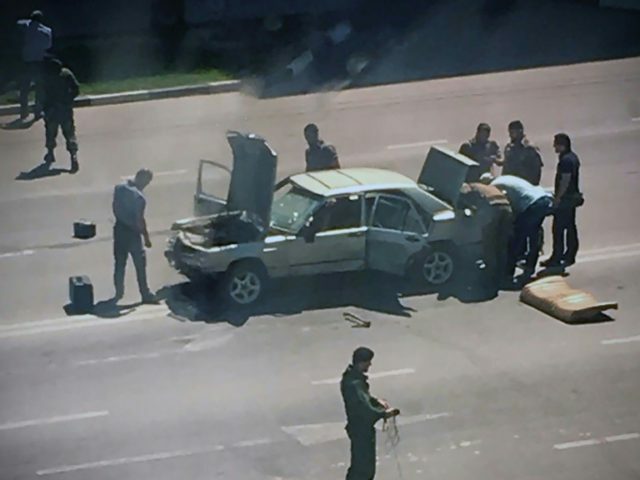 The Islamic State is taking credit for a series of coordinated terror attacks on security forces in several suburbs of Grozny, the capital city of Russia’s autonomous republic of Chechnya. In one incident, a suicide bomber detonated his explosives near a police station, injuring several policemen. The attacker survived and was hospitalized. In another incident, two men with knives entered a district police department and wounded two policemen and a female bystander with knives. The two assailants were shot dead. In another incident, two assailants tried to blow up a truck loaded with gas canisters in a suicide mission, but the vehicle failed to explode. The two were shot dead by police. In yet another incident, an attacker was allegedly shot dead after hitting a traffic policeman with his car. There were also reports of a shoot-out between police officers and attackers in the street, killing one officer. All of the assailants were teenagers, aged 11-17. Five were shot dead. Amaq, the public relations agency for the so-called Islamic State (IS or ISIS or ISIL or Daesh) claimed credit for the coordinated attack. ISIS frequently claims credit for terror attacks in which it did not participate, and that appears to be true in this case. However, executing several coordinated attacks at separate locations requires a moderate amount of sophistication, and since the terrorists were all teens, they might have had help from someone. Chechnya is one of Russia’s provinces in the North Caucasus region, largely populated by Muslims. Xenophobic tensions between the Christian Orthodox ethnic Russians and the Muslim Caucasians have been growing in recent years. Ramzan Kadyrov is president of Chechnya. He is bloody and brutal and will use any means necessary to keep the region stable, and he is also extremely loyal to Russia’s President Vladimir Putin. International human rights groups have accused Kadyrov of rampant rights abuses, including arbitrary arrests and extrajudicial killings by his feared security forces. The fact that Monday’s coordinated terror attacks were perpetrated by teenagers aged 11-17 is a lot more significant than Chechnya’s president Ramzan Kadyrov is saying. But first, let’s briefly look at the terrorist bombings at the Boston Marathon on April 15, 2013. Dzhokhar and Tamerlan Tsarnaev were ethnic Chechens (from Chechnya), but they were born in Kyrgyzstan in Central Asia. What were ethnic Chechens doing in Kyrgyzstan? Chechnya and Russia had fought numerous wars for centuries, but Russia’s dictator Josef Stalin finally decided to adopt a “final solution.” In 1944, there was a mass deportation of ethnic Chechens, forced to move from Chechnya to Central Asia, including Kyrgyzstan. It was apparently this forced deportation that radicalized the Tsarnaev brothers and caused them to carry out the Boston Marathon bombing in 2013. In August 1957, ethnic Russians living in Chechnya revolted against the authorities when Moscow allowed the Chechens who had been deported from there in 1944 to return and take back property and power that had passed from that ethnic community to Russians the authorities had moved in to occupy the territory. Of course, the returning Chechens found that their former homes were occupied by ethnic Russians. Going back to the 1990s, there were two major “Chechen wars” between Russian forces and Chechen separatists. 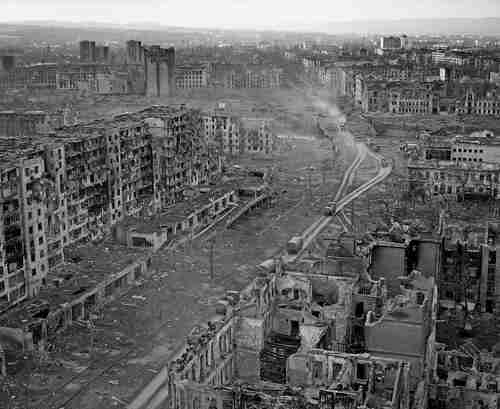 In December 1994, the Russian army was sent into the capital city Grozny to take care of some protesters. They expected the operation to take no more than a day or two. Instead, the Russian army forces were ambushed by Chechen separatist forces. A bloody battle ensued that lasted into February and, although the Russian forces finally won, it was extremely humiliating for the Russians, since tens of thousands of combatants and civilians were killed before it ended. Russian troops got their revenge in 1999, when they had to respond to a new insurgency of pro-separatist activists. Russian warplanes bombed schools and hospitals to create a refugee crisis and to empty the urban residential areas. Once that was achieved, heavy weapons could be deployed to eradicate opposing forces, entailing widespread destruction of homes and infrastructure. This is the same strategy, known as the “Grozny Model,” that Putin and Syria’s president Bashar al-Assad have been using in Aleppo, Ghouta, Daraa, and other Syrian battlegrounds, although al-Assad is speeding up the creation and slaughter of refugees by using chemical weapons, including Sarin gas and chlorine gas. So Monday’s terrorist attackers are all teenagers, aged 11-17. Ramzan Kadyrov played down the attack, saying that the attackers were “confused young men,” but that is far from the truth. This is a new up-and-coming generation of kids growing up after the Grozny mass slaughter in 1999. In fact, authorities reportedly identified the 17-year-old attacker as Ali Akhmatkhanov – a younger brother of Khizir Akhmatkhanov, who was sentenced to a lengthy prison term for his involvement in a terrorist attack in the Chechen city of Gudermes in 2001. So this is not a generation of confused kids. This is a generation of kids is looking for revenge. It would not be surprising to see more terrorist acts by Chechens in the months to come. Eurasia Review and Global Security and Rand Corp.